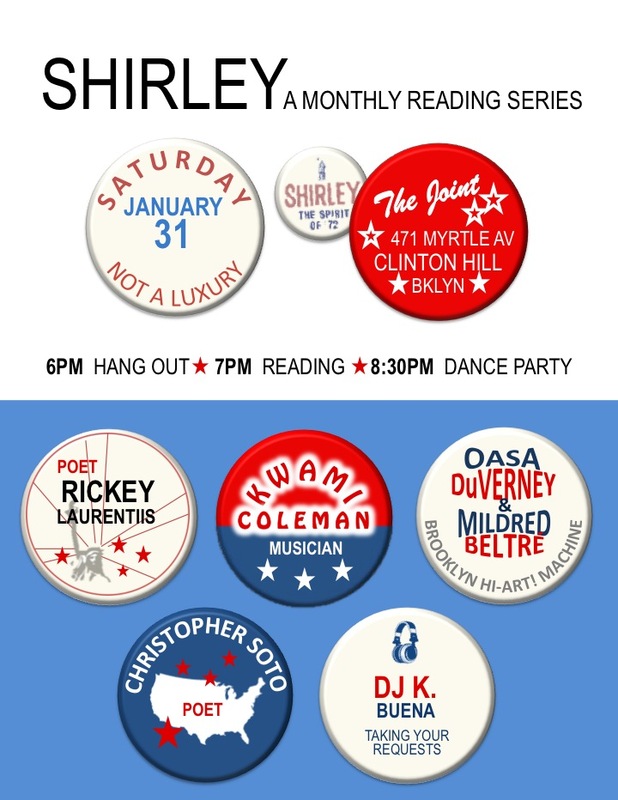 Your friendly neighborhood literary salon. 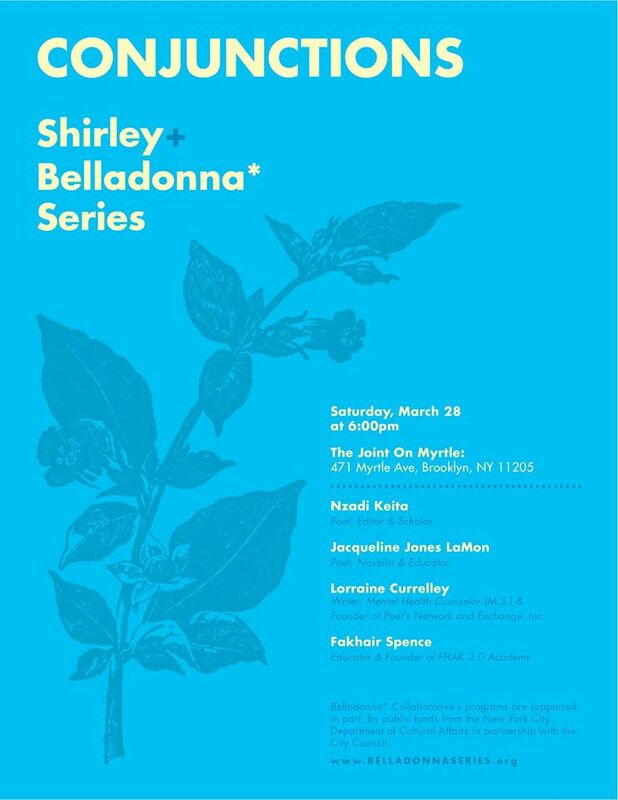 Graciously hosted out of Antler & Woods, a clothing & accessories store on Atlantic Ave in Downtown Brooklyn, this series infiltrates commercial space to render it– briefly– a communal space, cross-pollinating culture and capital and seeing what strange hybrid blooms. Is literature a fashion? Is it worn on us like an icon of status and selectivity? Or can it speak beyond the trends and toward something substantial, something sustained? These questions and more, plus camaraderie, plus wine. featuring JESS FELDMAN, EILEEN G’SELL, and MARIA XIA. Shirley is named in honor of Shirley Chisholm, first African-American Congresswoman and Democratic Presidential nominee. 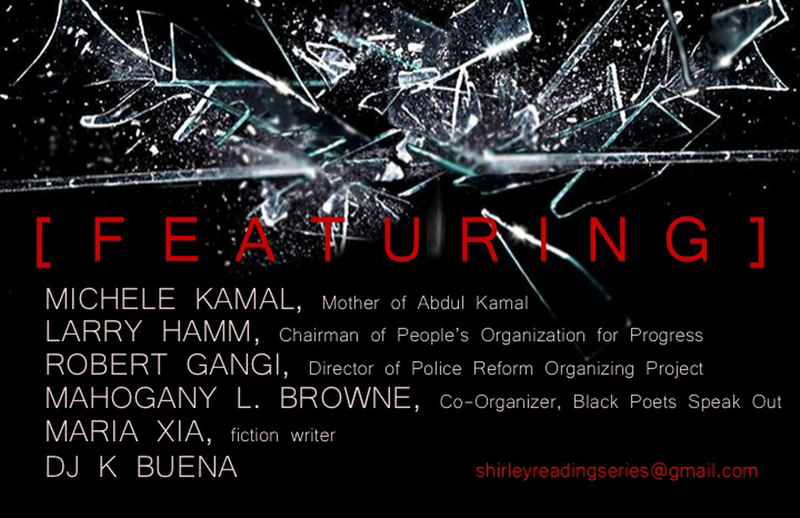 Our reading series is dedicated to social justice issues, and focuses on an interdisciplinary approach to creative community-building. 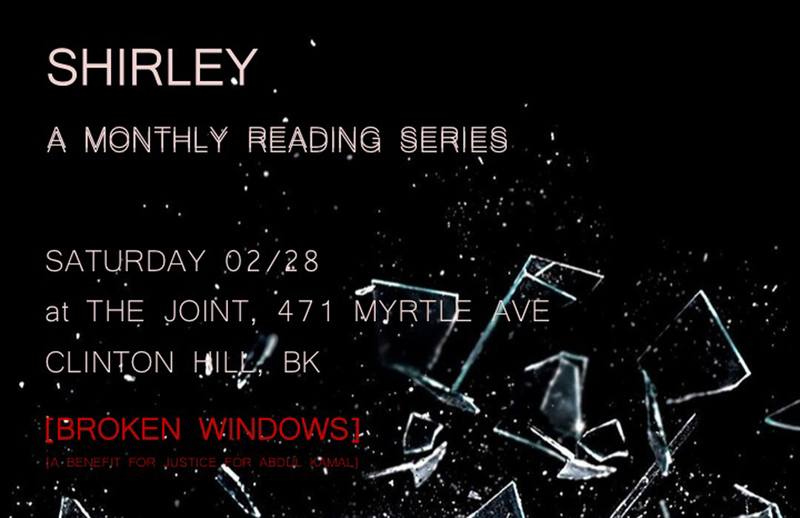 The series was co-founded by Saretta Morgan, Shelagh Patterson, and Robert Whitehead, and takes place on the last Saturday of every month at The Joint. Check us out on Tumblr.